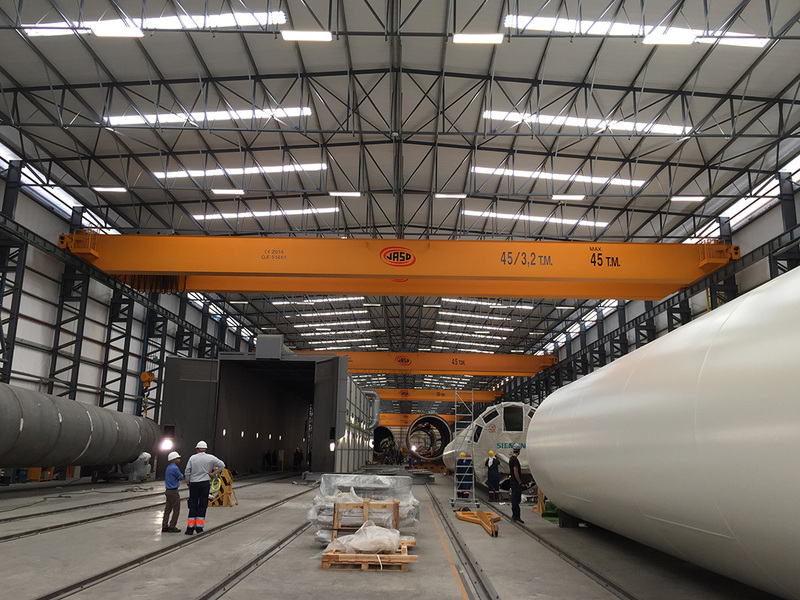 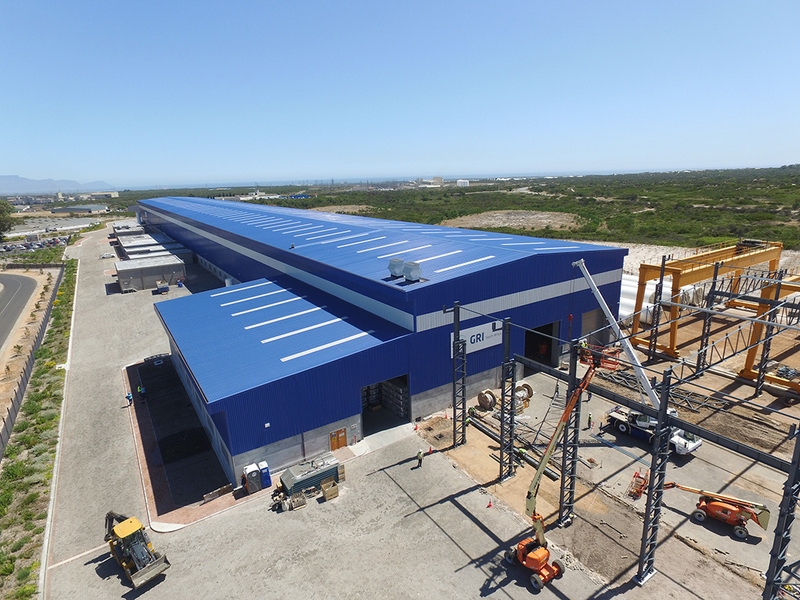 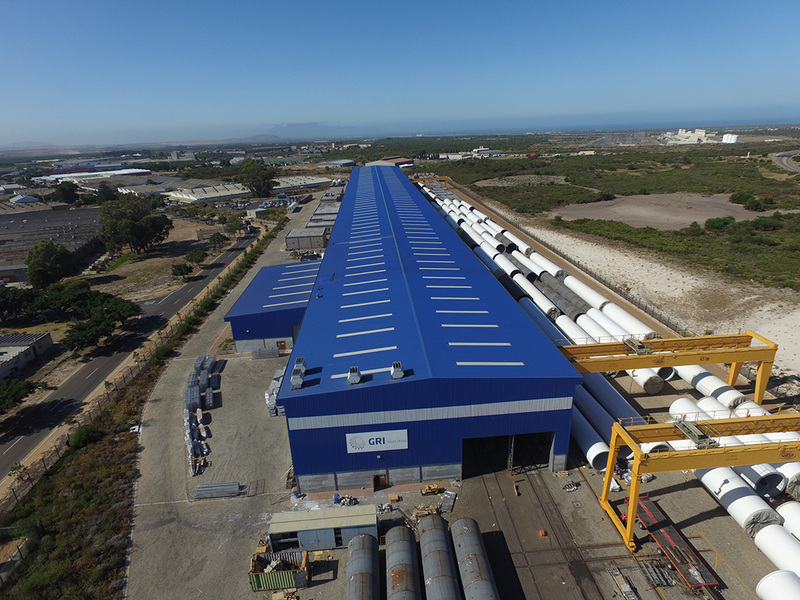 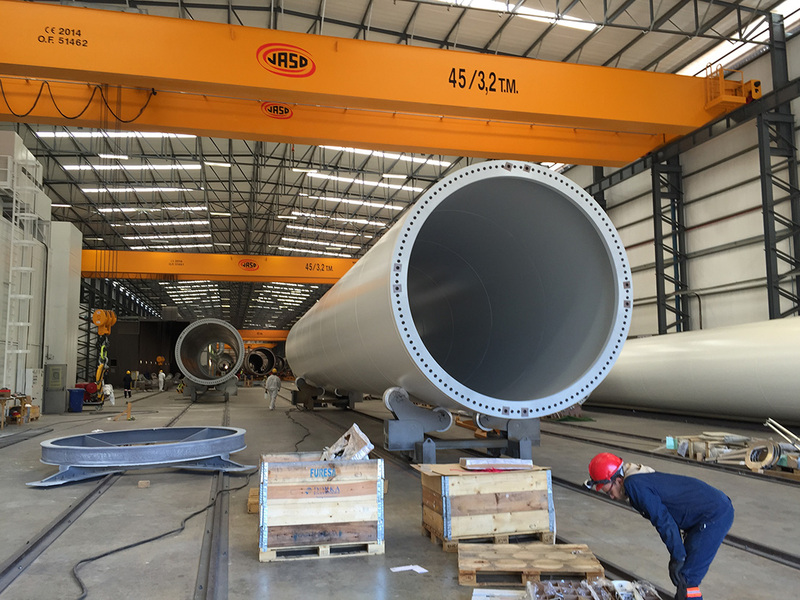 LEMCO’s flagship Design & Supply project to date is the GRI Renewable Industries Wind Tower Factory which is located in Atlantis, Cape Town and opened on November 5, 2014. 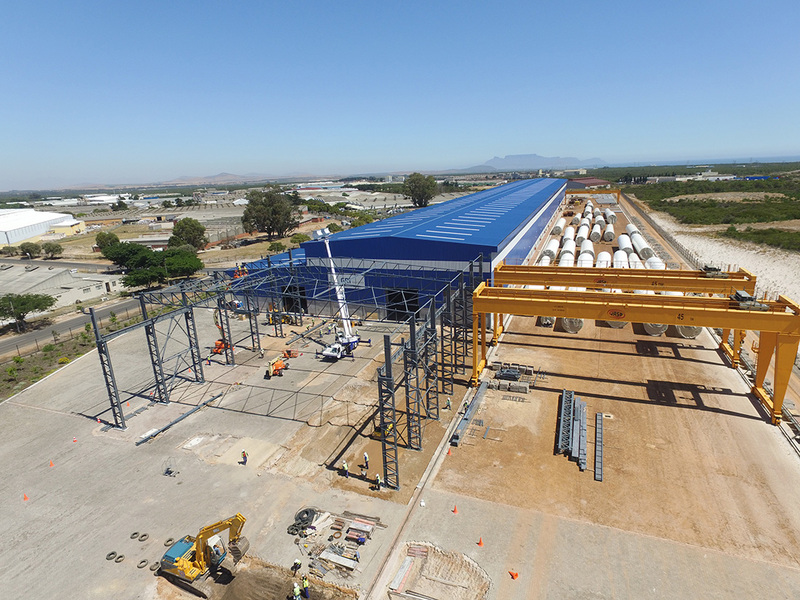 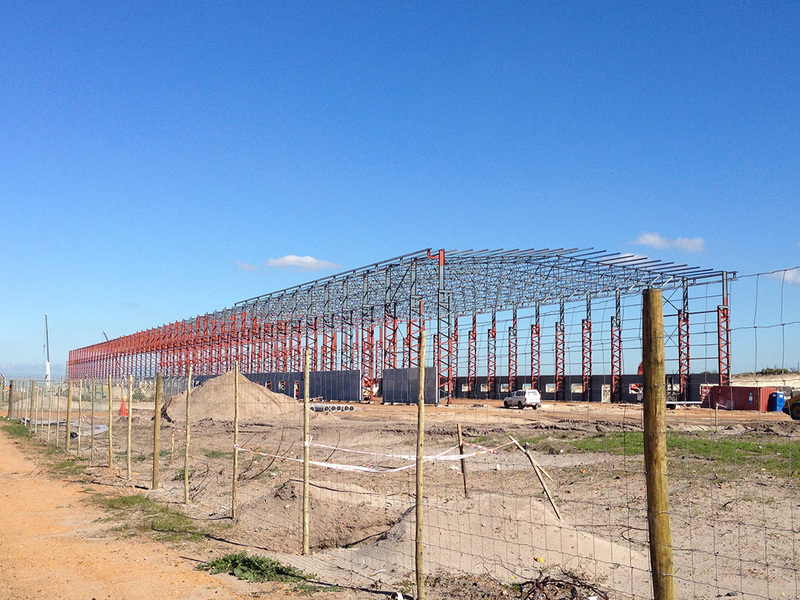 Together with Siroccon International (Pty) Ltd, who was appointed as the Turnkey Contractor we submitted our Steel Construction Design and Supply proposal within the short turnaround time of only one week. 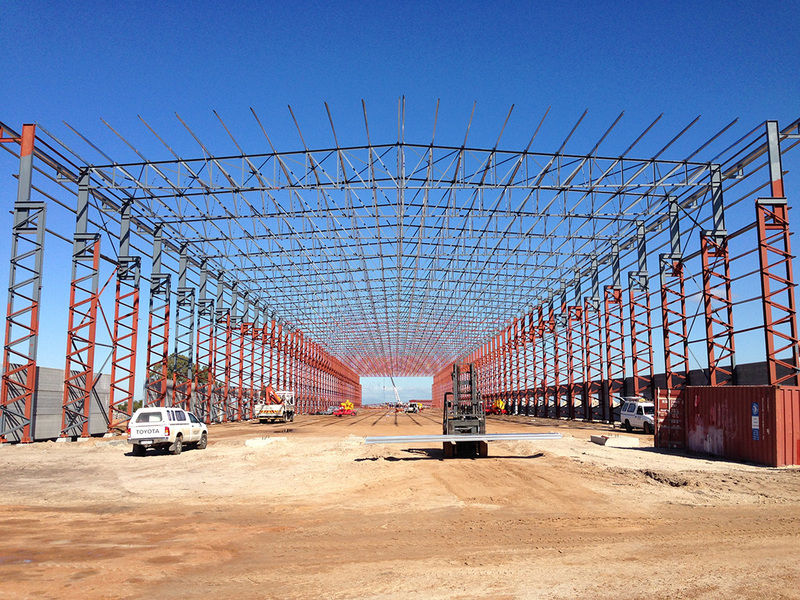 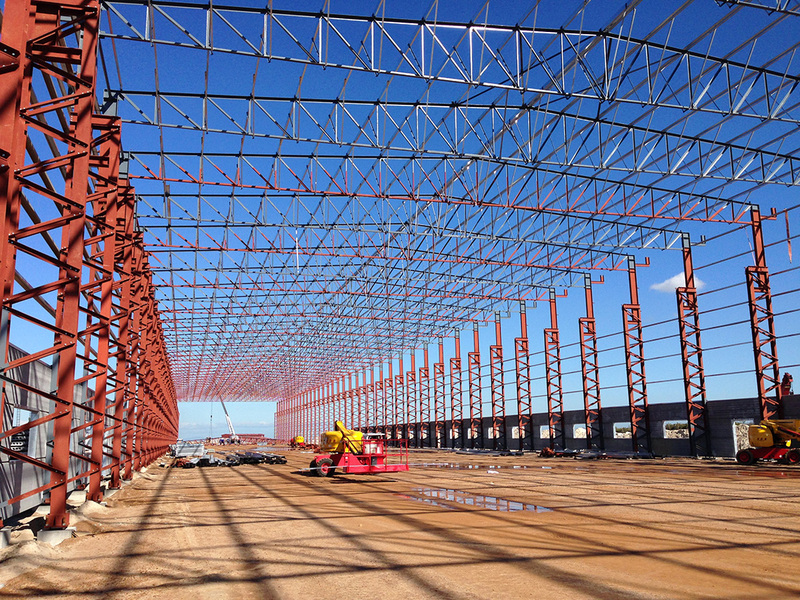 The steel structure which LEMCO fabricated and erected boasts a 40m wide by 350m long and 18m high building which houses massive 45 ton overhead cranes inside with lattice steel columns. 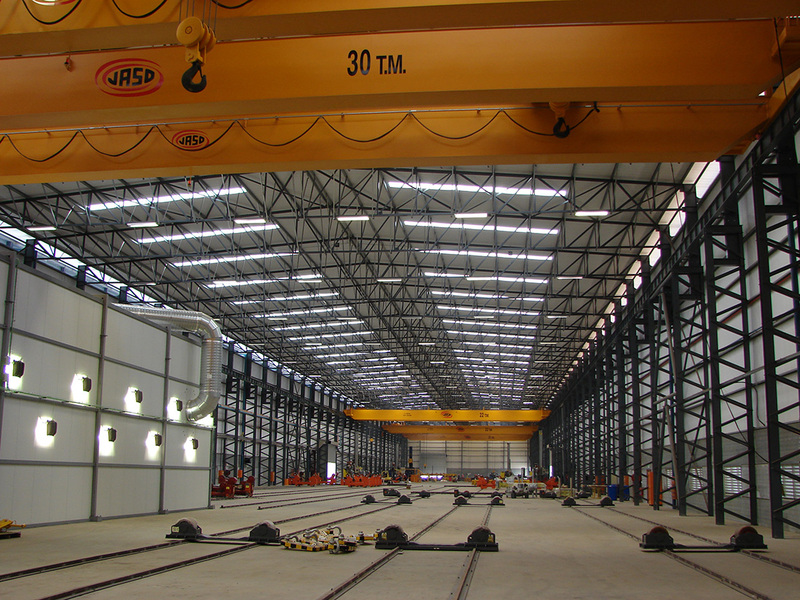 The steel structures design’s strength had to accommodate the tonnage of the cranes which had been imported from India across the width and length of the building. 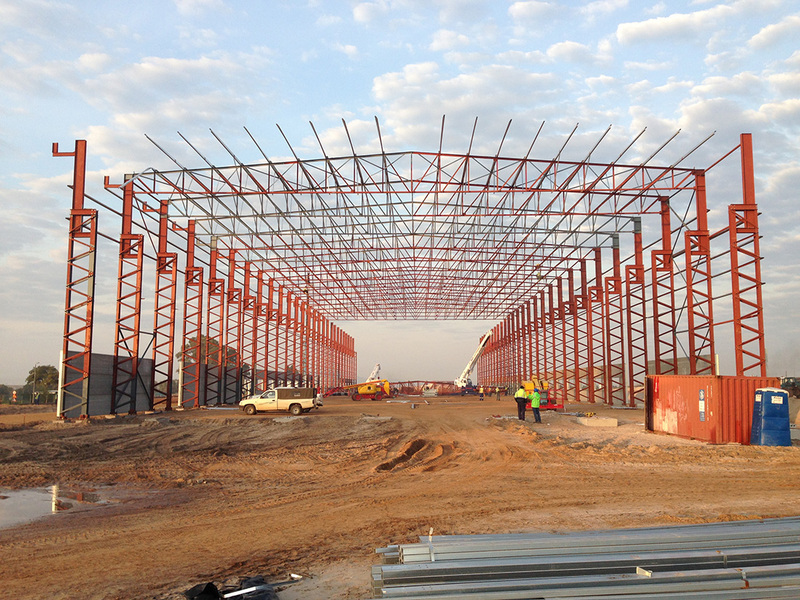 The steel construction was erected within 9 weeks weighing in at approximately 1000 tons of steel. 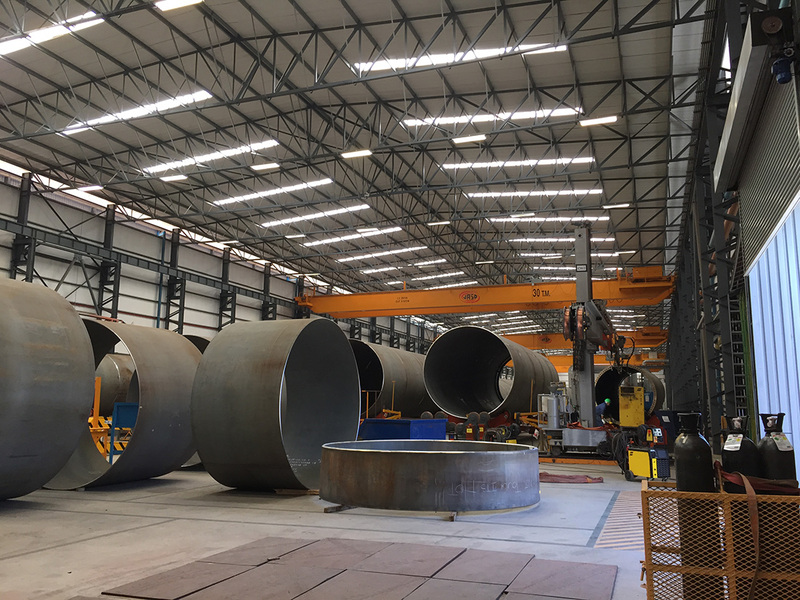 The structure included lattice columns where 19600 holes were drilled with the Peddinghaus CNC Drill Line. 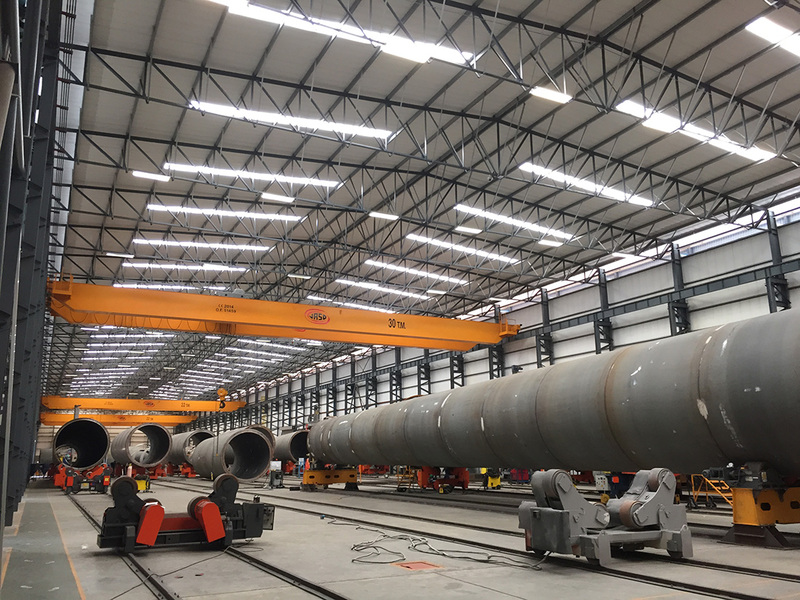 LEMCO bolted the angles in the columns of the building and not one bolt was fit by hand which was a true triumph of technology as all profiles fitted up correctly in the field.